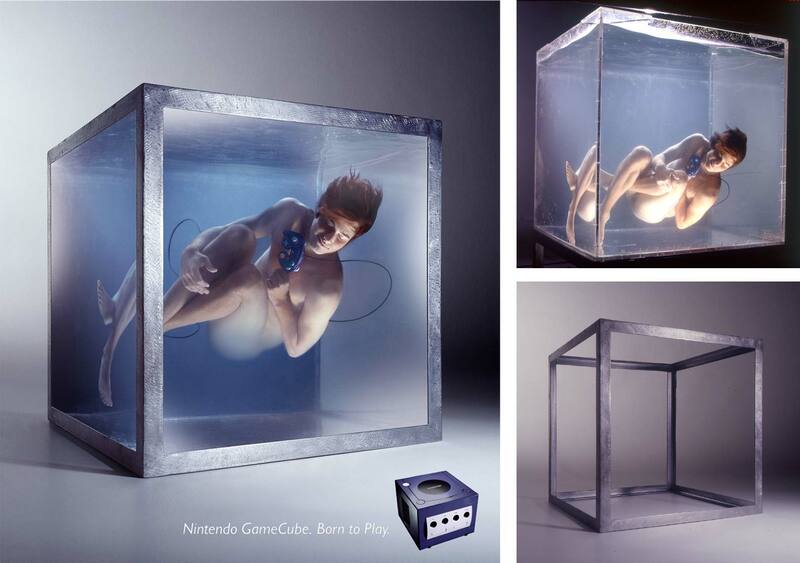 The Nintendo "water boy" was cast to be comfortable underwater. He was photographed in a custom built plexiglass tank that was elevated so it could be lit from underneath. A matching steel enclosure, in a smaller scale, was built as well. The two images were digitally combined in post production.